Gamers, rejoice: it’s time for one of Steam’s seasonal sales, this time celebrating the spirit of Halloween. Here’s a run-down of Lucky Nugget’s favourite horror games set to send chills down your spine. But you’d better move quickly, as the sale only runs until November 1! 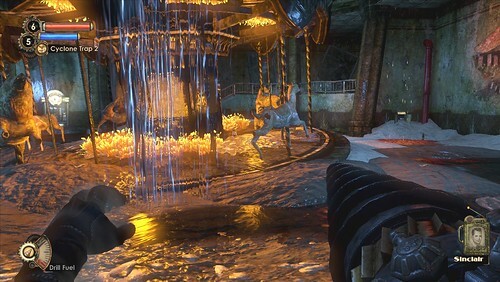 Wondering around the shambolic dystopia of Rapture, BioShock 2 is unparalleled in terms of atmosphere. There’s a haunting, creepy quality to all of the graphics, and you stumble around locations fending off enemies in first-person shooter style. One of the most intriguing aspects of the game is how your choices affect the ending, encouraging you to consider decisions before making them. And, best of all, the recent remaster has boosted the graphics quality hugely, making it a steal at 50% off. Based on a table-top role-playing game of the same name, this action RPG manages to be compelling and horrifying. You play as a vampire newly introduced into the family of the eternal night, trying to discover what’s going on in the tangled web of Los Angeles’ vampire politics. The game is widely considered a flawed masterpiece and has a cult following of fans who’ve adored it since its 2004 release: now you too can join them, as the game is 75% off. If you’ve ever wanted to play a game that’s ahead of its time, check out System Shock 2. It originally came out in 1999, but you can feel its impact through to today thanks to its legacy in FPS game design. You play as a soldier on a cyberpunk airship, battling infected crew members you used to know who have been taken over by The Many. The game is suitably horrifying, while its gameplay is open-ended and gripping. If you’re ready to jump out of your skin, you can get the game for 75% off retail price during the sale. From something old to something new: Zero Time Dilemma was only released for PC in June 2016. It’s the latest part of the Zero Escape series and follows a group of people who have been kidnapped by a mysterious person called Zero. Much of the gameplay involves trying to escape different rooms, and can be played non-linearly, alongside making twisted moral choices. The themes and plot are more complicated than many straight-forward horror games, but it’s definitely worth checking out – especially as there’s currently 33% off. 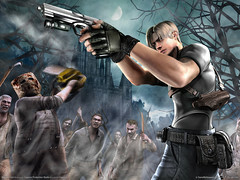 It wouldn’t be Halloween without the granddaddy of horror games, the Resident Evil franchise. The fourth instalment is the best of the bunch, originally coming out all the way back in 2005, but it’s survived well. This over-the-shoulder shooter is a masterclass in the survival horror genre, and sees the protagonist Leon trying to rescue the president’s kidnapped daughter. The game is considered one of the best ever made, horror or not – so it’s practically a crime not to pick it up for 65% off. The Steam Halloween sale comes but once a year, so you’d better be quick if you want to play these amazing horror games at a fraction of their original prices. And you could always use the savings to play a few rounds of our spookiest slot machines – exclusively at Lucky Nugget Casino.